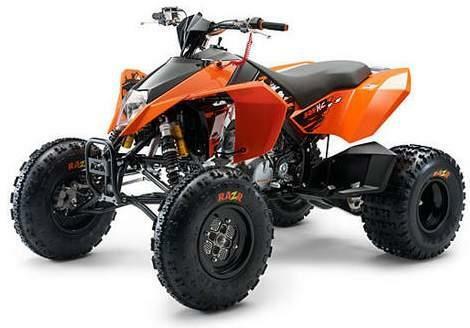 Austrian firm KTM has given its new quad range its UK debut at the Dirt Bike Show at Stoneleigh Park in Coventry. This year the firm introduced of the four-wheeled machines – the 450 XC and 525 XC – but the quads have never been seen in the UK before. Both quads are powered by versions of the firm’s single-cylinder bikes engines, in 448cc and 510cc forms, bolted to a new five-speed-plus-reverse gearbox. Another four-wheeler to make its first appearance was Kawasaki’s new-for-2008 KXF450 quad, a 450cc single-cylinder machine aimed at competition. Although no decision has been made yet about whether the firm will sell the new machine over here, it was asking for feedback at the show to help decide whether or not to import it to the UK.